On October 14 the most elite endurance athletes in the world will once again face the humbling challenge that is the IRONMAN World Championship in Kona. While finish times have plummeted at iron-distance races around the world, with many of the top male athletes going well under the eight-hour mark, the course and conditions at Kona are so uniquely challenging that those same athletes often struggle to match or even come close to their top performances. Kona is a race for the tacticians. Knowing the environment and how to adapt your strategy and effort levels accordingly can be the difference in a podium performance and blowing up on the run. In this year’s historic race there are two athletes, Jan Frodeno and Daniela Ryf, who are both going for threepeats. Ryf has soundly dominated the competition, especially last year where she set the female course record, whereas Frodeno has played a much more tactical game, wearing his competition down at the most opportune spots to gain his advantage. Although the swim is the shortest portion of an IRONMAN event, at Kona it holds a huge importance. If you miss the first couple of packs and are stuck coming out of the water solo the athlete’s engine size won’t matter. Pro Lionel Sanders discovered this in his first two trips to the Big Island. With the non-wetsuit swim, the big advantage goes to the naturally strong swimmers, who in recent years have been content to get out of the water and ride relatively easily, waiting for a bigger group to form on the early section of the bike. There are several tactical reasons for this that we will touch on in the next section, but as Ben Kanute showed at the 70.3 World Championship in Chattanooga, with a stellar swim/bike performance athletes can always throw new variables into the mix. In the men’s race, look for first-time Kona pro Josh Amberger to push the pace on the swim and work hard on the bike to gap any athletes content to go easy early. In the women’s race, swim standouts Lauren Brandon, Lucy Charles, Rachel Joyce and Haley Chura will all be in the mix at the front. The Kona bike course is brutal. Most people point out the climb to Hawi, but this only accounts for a little over 500 feet of the roughly 5,000 feet of climbing on the course. Plenty of other courses have similar climbing but much faster times so what else makes Kona such a challenge? One obvious factor is the heat and humidity. Studying athletes’ power levels at Kona versus their other races in more temperate climates show a significant difference. For the top athletes this is often deliberate as burning matches on the bike will come back to haunt them on the run. It is not uncommon to see athletes lower their power by up to 10 percent in Kona versus other races. So top male podium athletes who are typically around 295-300+ watts for an typical IRONMAN will often race at 260-270 in Kona. How they strategically use those watts can be even more important based on the next biggest factor on the bike, the prevailing wind conditions. 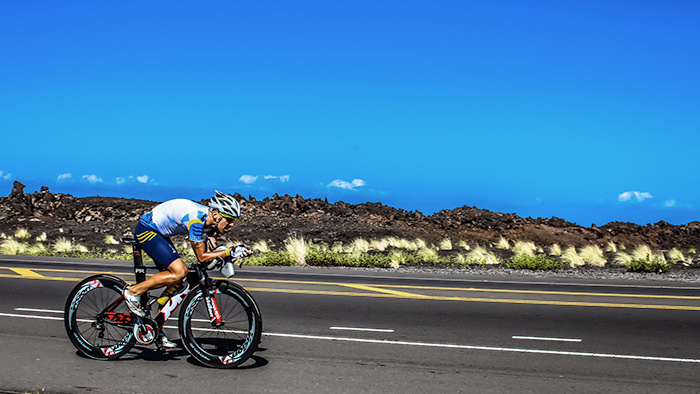 When Best Bike Split first traveled to Kona as part of the TrainingPeaks family we knew that Kona was one of the hardest races to accurately model. Once we experienced the race in person we immediately understood why; the island is unique in that the prevailing wind conditions are never in the athlete’s favor. Early morning winds tend to originate from the interior of the island and as the athletes travel up the coast the wind starts to shift going from a more sheltered low headwind to a stronger more exposed headwind up to the turnaround at Hawi. Once athletes make the turn to head back into town, the wind is coming off the coast and is much stronger (the famous crosswinds). For the final section of the course the winds shift even more to the south and often increase intensity, so athletes face additional headwind back to transition. This shift tends to increase in intensity throughout the day, so age groupers often face harsher conditions than the pros. Essentially athletes face a head or crosswind for the vast majority of the course, which adds to the difficulty and shape the racing tactics employed by the pros over the past several years. To win in Kona everything must be firing on all cylinders going into the run, even in Craig Alexander’s record breaking performance in 2011 there were times on the run where it looked like things could fall apart at any second. If the bike is brutal, the run in Kona is truly humbling. Many athletes have ridden their typical power levels on the bike only to have to walk or even call it a day on the run. Burning too much energy early in the run and on the climb up Palani Road to the Queen K Highway will be costly in the scorching stretch down and back through the Energy Lab. The run is completely exposed, so athletes who have not trained, adapted and accounted for the conditions could suffer throughout the run. Many top athletes have already been training in similar conditions in preparation, most notably Daniela Ryf traveling to Maui to train immediately after Chattanooga and Patrick Lange (last year’s third place finisher and run course record holder) spending his time training in Houston, Texas. Much like we said in Chattanooga, it’s hard to see anyone who can come close to touching Ryf. Watching her drop girls like they were standing still on the climb up Lookout Mountain left no doubt about her ability to just overpower every other competitor out there. She typically has a strong swim, but even if her swim is suffering, with ideal pacing she could put 15+ minutes on most of the field on the bike course. Barring some physical or mechanical issues (which can and hav happened many times during this race’s history), it’s hard to see her competing against anything but her own record from last year, which will depend heavily on the conditions on the day. The race for second place is where the real action will take place in the women’s race. Heather Jackson is looking for a step up the podium this year after her third place finish in 2016. She has worked hard on her swim and marathon with her coach Joe Gambles to fine tune her relatively weaker areas. If she strings together a better swim into her historically strong bike, she could be much closer to Ryf coming off the bike than in year’s past. Rachel Joyce is back at Kona this year and podiumed every year from 2013-2015. She often comes out of the water with Ryf, so if she can manage to hold on for a portion of the bike she could get some significant gaps on the field, and most importantly, Jackson. However, Joyce has raced a lot to qualify this year, so it will be interesting to see how she bounces back after two full IRONMAN distance races already this year. German Anja Beranek, who finished just off the podium last year, is an incredibly strong cyclist, and was able to stick with Ryf for a large section of the bike in 2016, but ultimately fell off the pace coming into transition, trailing Ryf by some eight minutes. Her early efforts on the bike might have cost her as she faded throughout the run to finish fourth. Now that she has one IRONMAN Hawaii under her belt, we expect to see a more even strategy on the bike, putting her in a better position to try to hold off athletes chasing from behind through the end of the marathon. This year she will likely face stiffer competition from the likes of Sarah Crowely and Lucy Charles, who took the top two spots at the IRONMAN European Championship in Frankfurt earlier this year. Sarah Crowley is coming off an outstanding season where she won IRONMAN Cairns, Frankfurt, and the ITU Long Course World Championship in Penticton. She is a great all-around triathlete with no obvious weakness. Crowley has come a long way since her 15th place debut performance in Kona last year, but the fast Aussie will once again be tested by the island conditions, and after two full IRONMAN races and a ITU long course race, it will be interesting to see how she holds up later in the race. In just her second year as a professional, Lucy Charles heads to Kona off a season that includes a major win and bike course record at IRONMAN Lanzarote and a second-place finish to Sarah Crowley at the IRONMAN European Championship—a notoriously stacked field. Her outstanding swim strength should see her coming out of the water with Lauren Brandon well ahead of a lot of the competitors. With Lucy’s cycling ability she could hold off Ryf for a large portion of the course and stay close to Jackson. If there is one area of relative weakness with Lucy it’s her run, but if she can bike within her means she could see herself in second or third heading into T2. Other notable athletes who have a good shot at the podium include the perennial top Kona athlete Michelle Vesterby, Sarah Piampiano if she can string together a great day, and Kaisa Sali—who was fifth in Kona last year, but has changed coaches and strategies this year with Siri Lindley. This years men’s race has so many dynamics that could play out throughout the race. Jan Frodeno is going for his third straight world championship title. Two years removed from the top spot, Sebastian Kienle has faced challenges with his typical hard bike and strong run strategy. In the last few years competitors who have focused heavily on bike aerodynamics and tactical yet legal spaced riding have fared far better. This year Ben Hoffman entered the ranks of sub-8 IRONMAN status with an incredible performance at IRONMAN South Africa. Patrick Lange, who to set a blistering run course record last year, has the swim and bike chops (barring a penalty) to really pressure for a top spot. 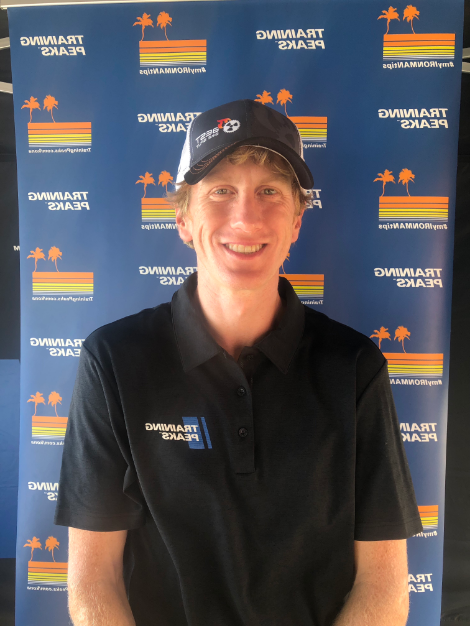 There is also the powerhouse Lionel Sanders, who has been focusing heavily on his swim training, as well as training in what can only be described as a sauna in order to acclimate for the heat and humidity of the race. Unlike the women’s race, where there is a clear-cut favorite, the men’s race is a bit more open. Frodeno is still the defending two-time champ and is the favorite, but he is also potentially beatable. The past two years have set up very similarly where stronger swimmers including Frodeno, Hoffman, Brent McMahon, and Tim O’Donnell (just to name a few) have formed an early pack on the bike on the way to Hawi. While the spacing between riders in the pack is usually the legal 12 meters, there is no real incentive for athletes to push hard to the front to face a majority uphill and increasing head wind. In 2015 we saw Ben Hoffman charge to the front for a hard effort, trying to break the pack toward the base of the climb, only to have the group easily cover and pull him back in. It’s hard to tell how much impact this effort had, but the surge used much needed matches and had virtually no impact on the field. Strategically the big moves have tended to come after the turnaround as the prevailing winds shift into a crosswind, where the pack loses any potential advantage. Athletes like Kienle and Sanders need to be close enough out of the swim to bridge the gap before this point if they hope to get any major gaps on the field back into T2. To put it in perspective using data from some top lead swim group athletes from last year, Kienle or Sanders would need to push upward of 30 more watts to bridge a four-minute gap by the turnaround point. At this year’s IRONMAN 70.3 World Championship Kienle managed to close a four minute gap to Javier Gomez and Tim Don at around 54 miles into the race, but once he made the pass they were not content to let him pull away and the total effort cost him on the run. With the increased emphasis on aerodynamics efficiency across the sport it will be hard for Kienle to repeat his dominating bike performance from 2014, where he gained 10+ minutes on many of the favorites. The new wrinkle though could be Sanders’ swim progression, which he hopes to will allow him to shadow and exit the water near Kienle. At IRONMAN 70.3 St. George the two high powered cyclists motivated each other through the pack trying to catch Alistair Brownlee. If they can repeat something similar at Kona the dynamics of the race will changes considerably in the back half of the course. If, however, the two previous years are any indication, most of the contenders will be content to keep contact and the bike gaps will remain small enough to let the race play out on the run. Frodeno was the strongest all around athlete by far last year. The data from 2015 shows that he took the bike very easy and 2016 appeared no different. This year I suspect he will be tested a little more by an athlete like Ben Hoffman on the back half. Additionally, if Patrick Lange is lurking, Frodo might push the bike effort himself more this year to have bigger gap for the run. We also expect to see Josh Amberger do what he does best with a great swim followed up by pushing the bike hard in his Kona debut. We don’t expect him to maintain the pace like Ben Kanute at the 70.3 Worlds, but it throws a new dynamic into the mix with a strong swim/bike athlete that the race hasn’t seen in several years. If Amberger can work with former pro cyclist Cameron Wurf on the last quarter of the bike, they could maintain a lead into T1— though neither has ever experienced a run like Kona. Other front pack swim athletes (maybe even Frodeno) could be encouraged to go with Amberger if the opportunity is there to put extra gaps between themselves and a Sanders/Kienle duo. We hesitate to even try to predict a top-three overall, but with all of the pre-race dynamics it is shaping up to be another historic year at the IRONMAN World Championship. As always, we love to do power predictions for the pros, which we encourage you to check out, and even do a demo of the course for yourself. These predictions are based on past performances, weather conditions and publically available data. As always the data will be adjusted as weather forecasts change right up to race morning. Got Big Island fever? We’ve got the cure. Check out our pre-race predictions, course tips, race-week interviews and post-race analysis from the 2017 IRONMAN World Championship right here. Ryan Cooper is the Chief Scientist at TrainingPeaks and Co-founder of Best Bike Split. He has worked and consulted with multiple World, Olympic, and IRONMAN champions, as well as teams including UnitedHealth Care, Dimension Data, Cannondale Drapac, Orica Scott, BMC, Trek, and Sky. His main mission is spreading the metrics-based training approach of TrainingPeaks and the predictive race day analytics provided by Best Bike Split. Learn more at TrainingPeaks.com and BestBikeSplit.com.